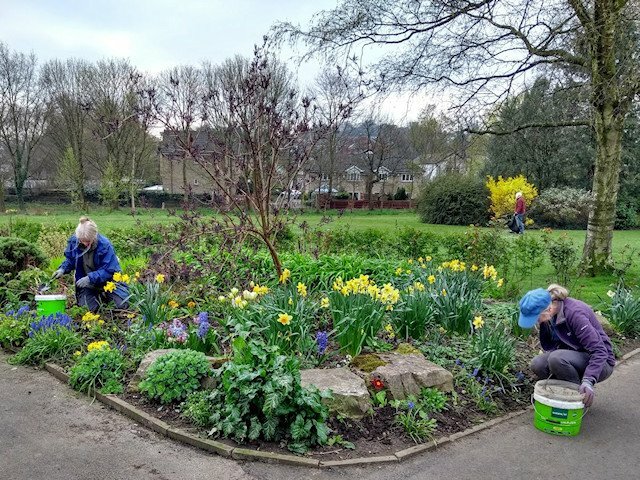 As there were no photos taken during our Task Day on Saturday 13 April we've included a few showing the fantastic colours in the park at the moment. Volunteers worked hard on the flowerbeds, litter picking and on the tree sculpture behind the library. Little Growers was running again too and visitors to the park popped over £11 in our collection bucket, so thank you! 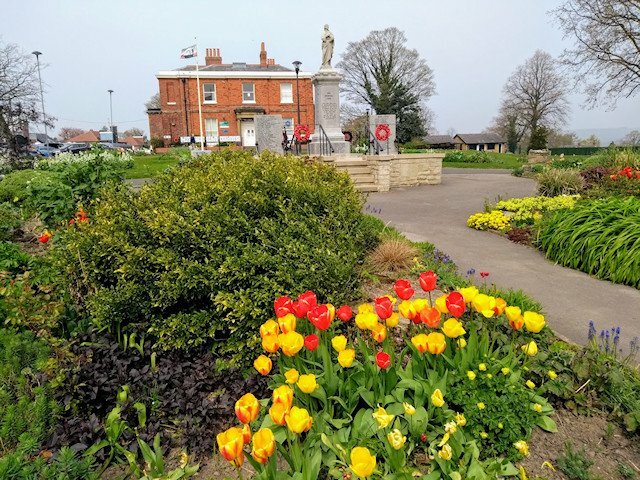 The next scheduled Task Day is Saturday 27 April 2019 and we'd be delighted if you can come along for however long you can between 10 am and 2 pm. Stout footwear and suitable clothing should be worn and bring your own gardening gloves and small hand tools if you have them. Children should be accompanied by a responsible adult. Thank goodness for better weather, which allowed us to squeeze in a Task Day on Friday and Saturday this week. 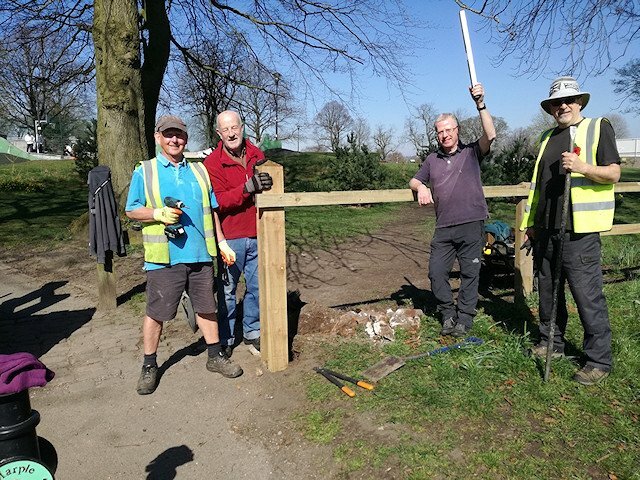 On Friday we repaired the fencing at the park entrance near to Lock 12 and on Saturday we launched this year's Little Growers scheme and worked hard on the flowerbeds. 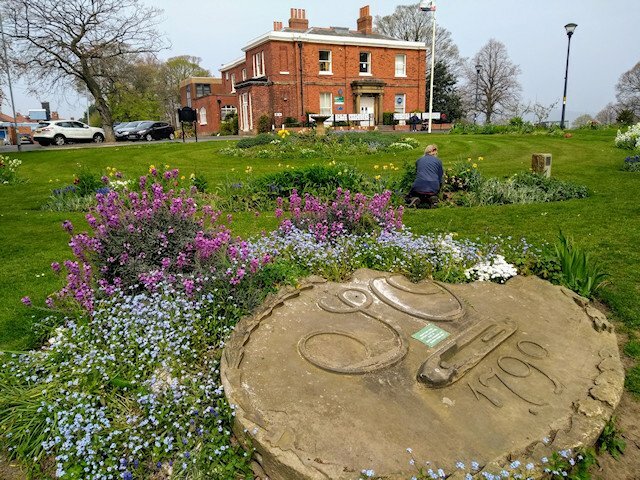 The next scheduled Task Day is Saturday 13 April 2019 and we'd be delighted if you can come along for however long you can between 10 am and 2 pm. It doesn't happen very often but sadly our task day of 16 March was rained off. What a contrast to February! 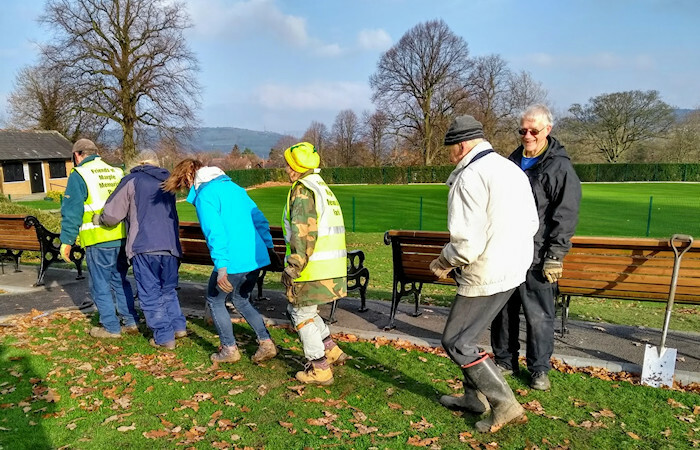 The next scheduled Task Day is Saturday 30 March 2019 and we'd be delighted if you can come along for however long you can between 10 am and 2 pm. 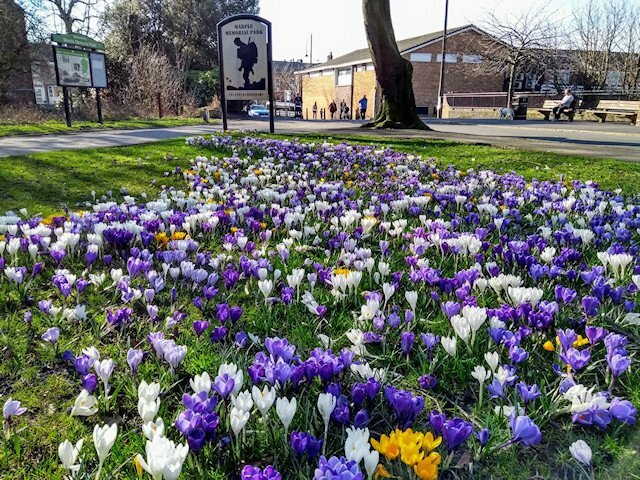 Isn't the park looking fantastic in the sunshine, especially with the spectacular displays from the crocuses! 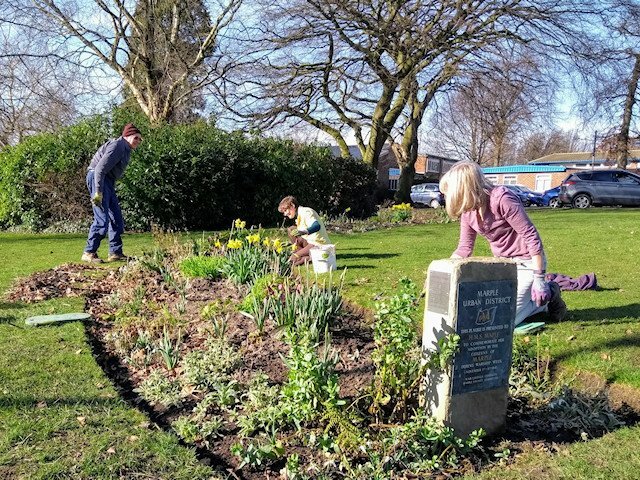 The next scheduled Task Day is Saturday 16 March 2019 and we'd be delighted if you can come along for however long you can between 10 am and 2 pm. And we're off! 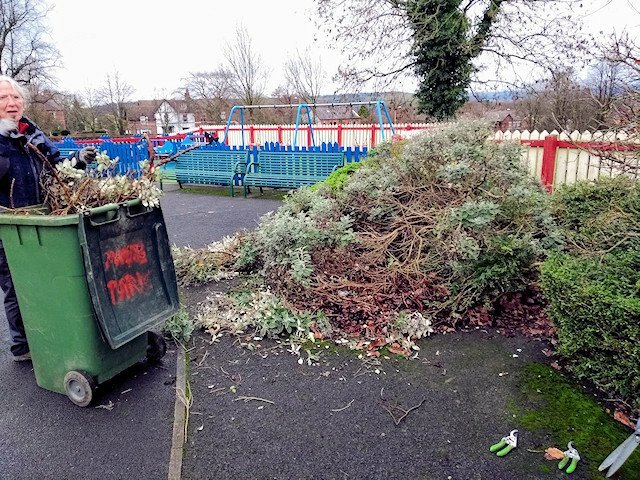 Our first task day of 2019 included clearing glass, picking up dog mess and removing a banister rail and a beer barrel from the park. 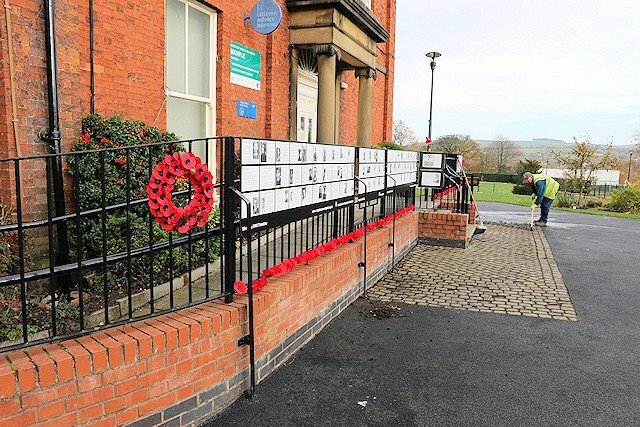 The next scheduled Task Day is Saturday 23 February 2019 and we'd be delighted if you can come along for however long you can between 10 am and 2 pm. A good turn-out for our final task day of 2018, taking the total for the year to 24, and over 1,000 volunteer hours worked since January. 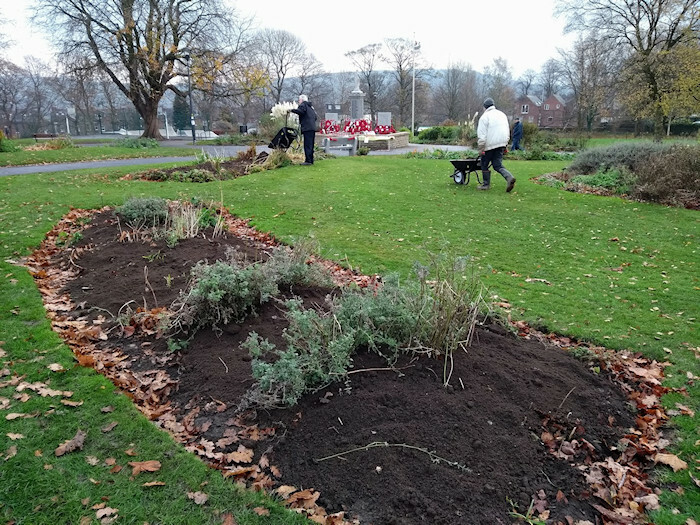 Today's efforts included a tidy up of flowerbeds front and rear of the library, litter-picking, planting bulbs, clearing leaves from the car park and driveway, clearing windfall branches from the park and even clearing the access to Asda. 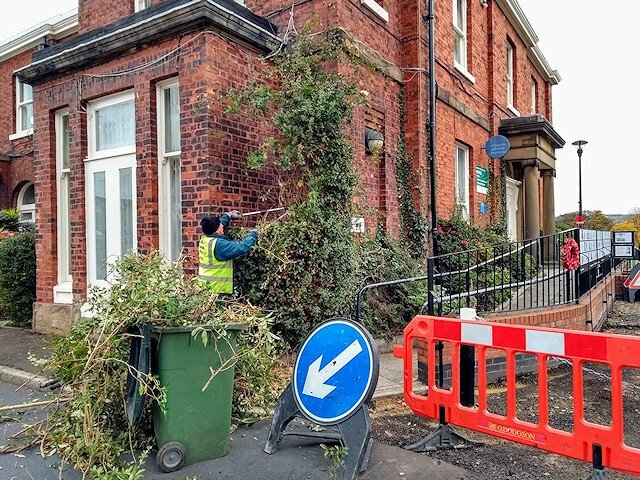 The next scheduled Task Day is Saturday 26 January 2019 and we'd be delighted if you can come along for however long you can between 10 am and 2 pm. Spreading 4te of topsoil and planting several hundred bulbs were the main tasks yesterday but we found time for a Conga too! 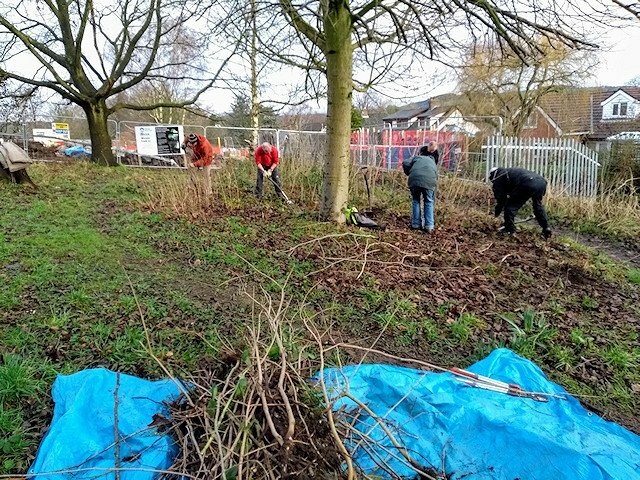 The next scheduled Task Day is Saturday 29 December and we'd be delighted if you can come along for however long you can between 10 am and 2 pm. 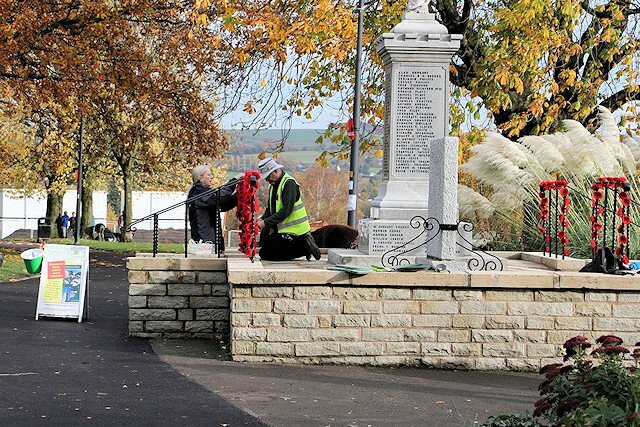 We squeezed in an extra task day last Saturday and the council has been working hard in the park all week too, so yesterday we were able to focus on the final touches before Remembrance Sunday today. 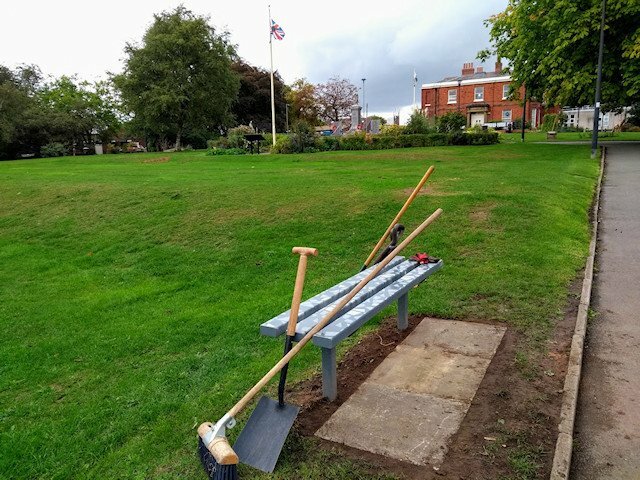 With the Timeline complete and lots of work in the park including re-tarmacking of the main paths and the area where stone was stolen from the park entrance, weeds cleared by the Payback Team and leaves blown by the park attendants, the park is as ready as it can be for the 100th anniversary of the end of the war. 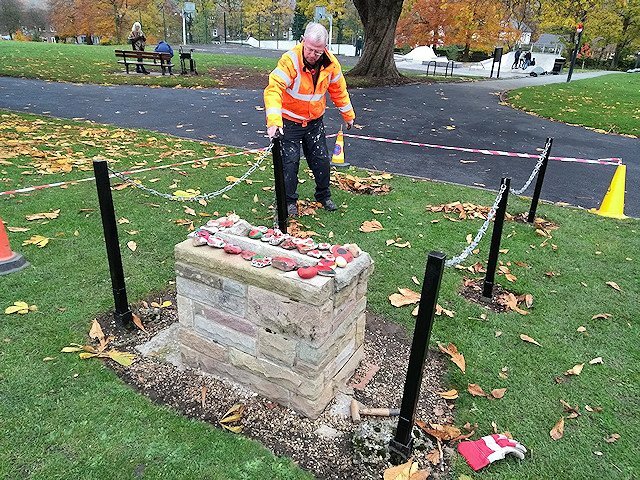 The next scheduled Task Day is Saturday 24 November and we'd be delighted if you can come along for however long you can between 10 am and 2 pm. It speaks volumes when people say thanks and or they are vocally appreciative of the time and efforts of the volunteers. This coming winter, such appreciation will be even more welcomed considering the bite of the cold and the snow. I at least hope the snow doesn't come until much later. It was a bit cold yesterday but one way to keep warm is to get stuck-in and our volunteers certainly did that! 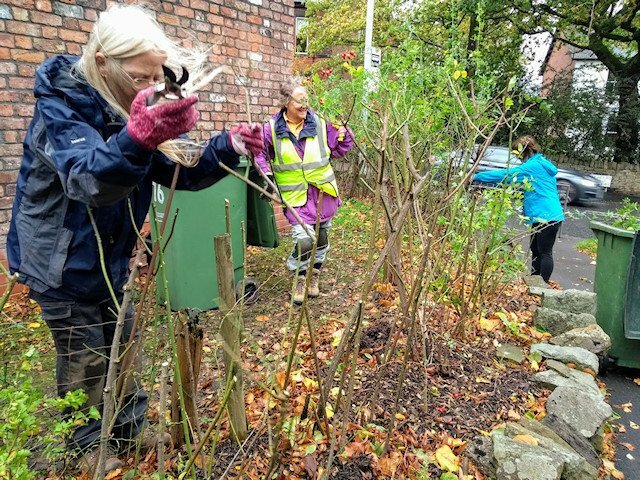 The next scheduled Task Day is Saturday 10 November and we'd be delighted if you can come along for however long you can between 10 am and 2 pm. 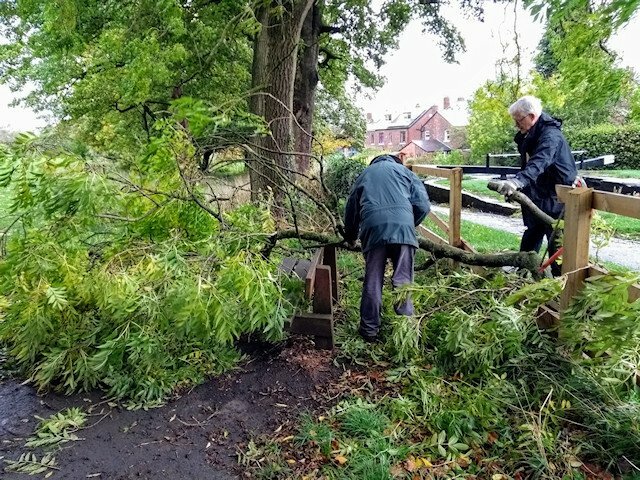 Rather different weather this weekend saw Friends of the Park mostly tidying up after Storm Callum! 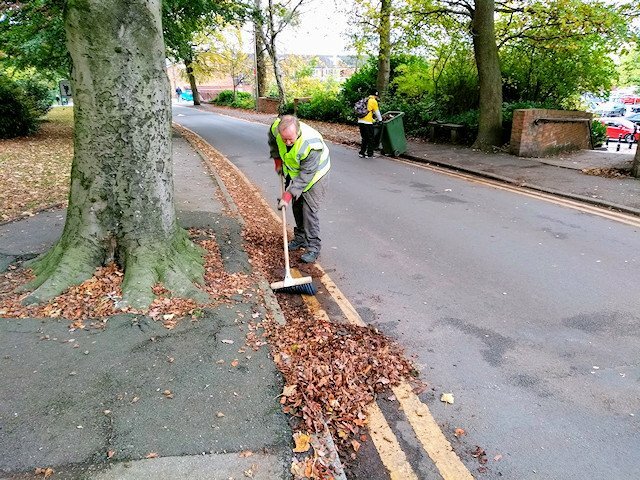 The next scheduled Task Day is Saturday 27 October and we'd be delighted if you can come along for however long you can between 10 am and 2 pm. A glorious Indian summer day saw Friends of the Park keeping really busy inside and outside the park. 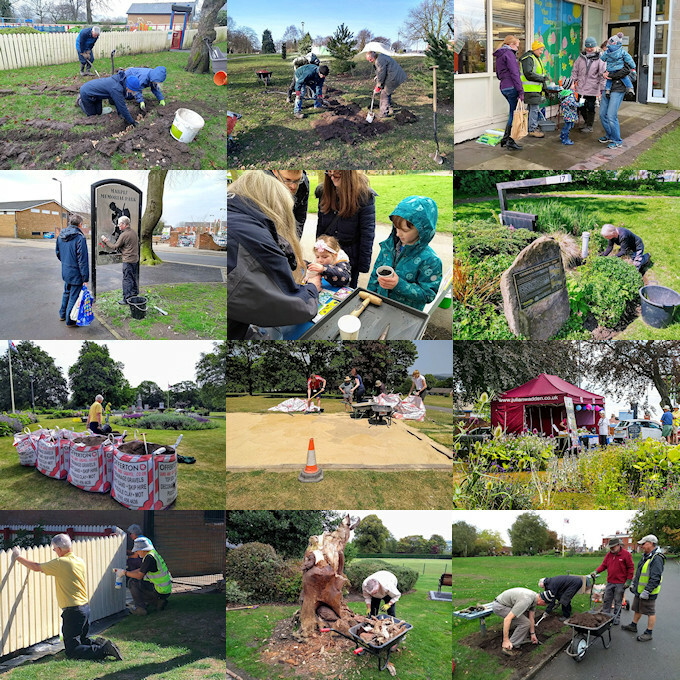 The next scheduled Task Day is Saturday 13 October and we'd be delighted if you can come along for however long you can between 10 am and 2 pm. 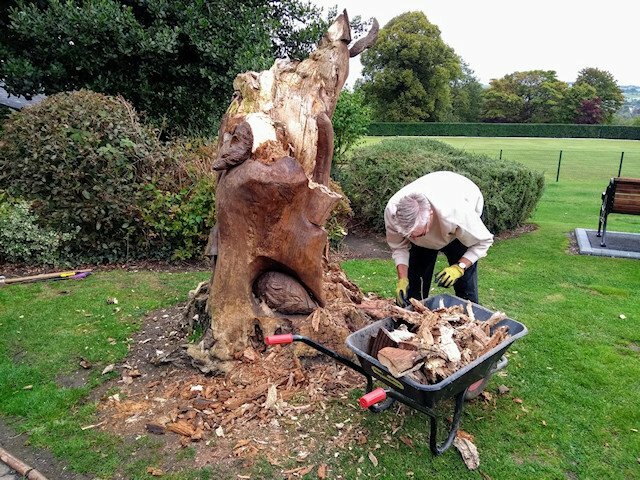 A sad task yesterday was to remove part of the Midnight Tree Sculpture that we created in the park back in 2007. Lots of other more positive work was completed too and it was great to see kids playing on our latest addition to the Infants Play Area. 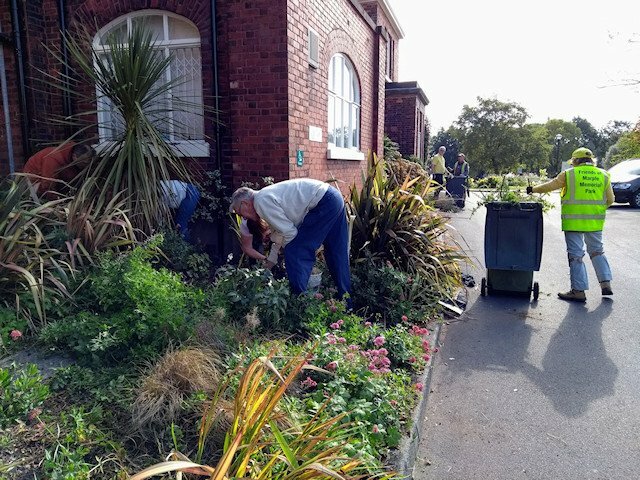 The next scheduled Task Day is Saturday 29 September and we'd be delighted if you can come along for however long you can between 10 am and 2 pm. 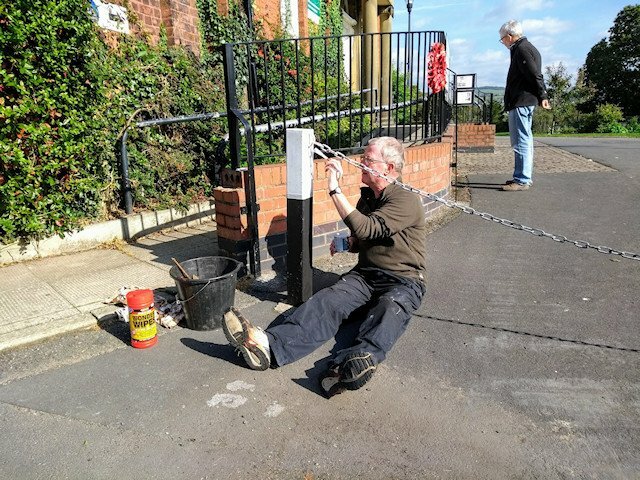 Too damp to continue fence painting, a tidy up of the Reading Circle behind the library was the order of the day for Friends of Memorial Park on Saturday! 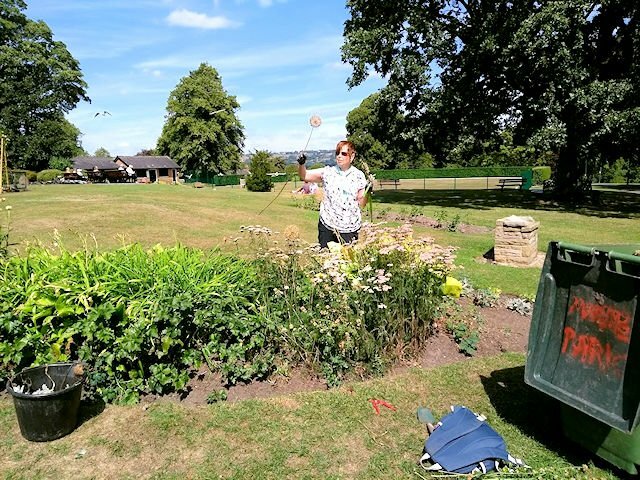 The next scheduled Task Day is Saturday 15 September and we'd be delighted if you can come along for however long you can between 10 am and 2 pm. Much better progress on painting the Infants Play Area fence on Saturday but there's still such a long way to go! The next scheduled Task Day is Saturday 25 August and we'd be delighted if you can come along for however long you can between 10 am and 2 pm.